My eldest daughter took me for afternoon tea in The Ritz hotel. This was a belated birthday present. We had a very nice time and then went shopping in Oxford Street. 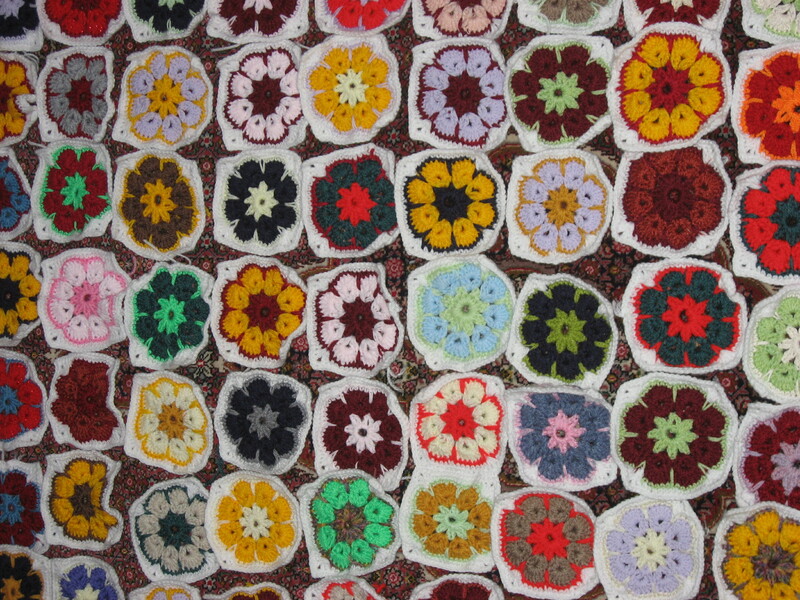 I am still working on a granny squares project and so far I have made 106. Pictures from a visit to Feltham. It was exactly one year ago since my first blog post. I have enjoyed it and I hope that I will post a lot more in the next 12 months. 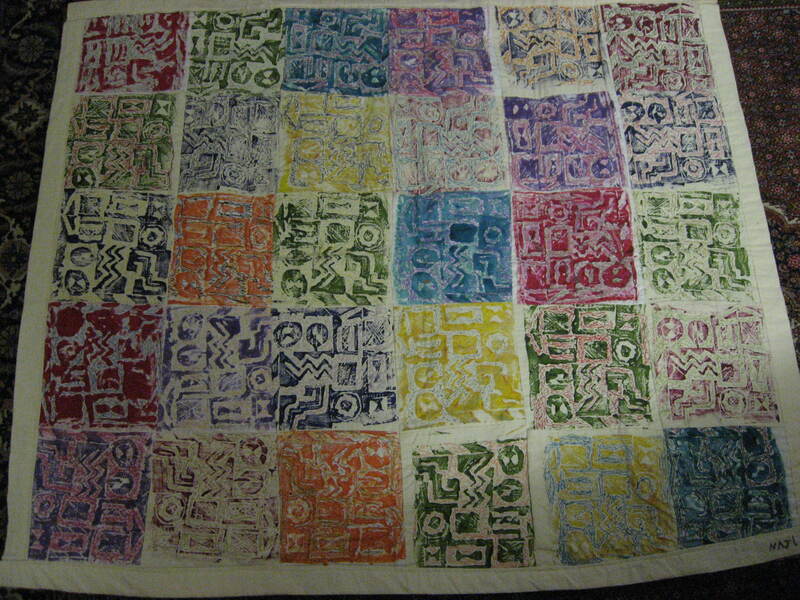 This is a photo of a wall hanging I made years ago from lino printing and free machine embroidery. 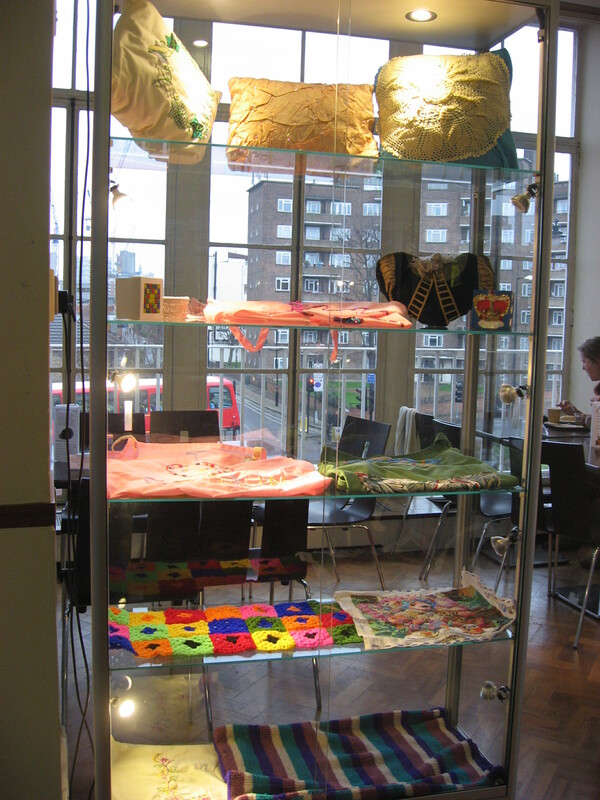 My craft club group have put our work on display at Morley College, near Lambeth North Station. 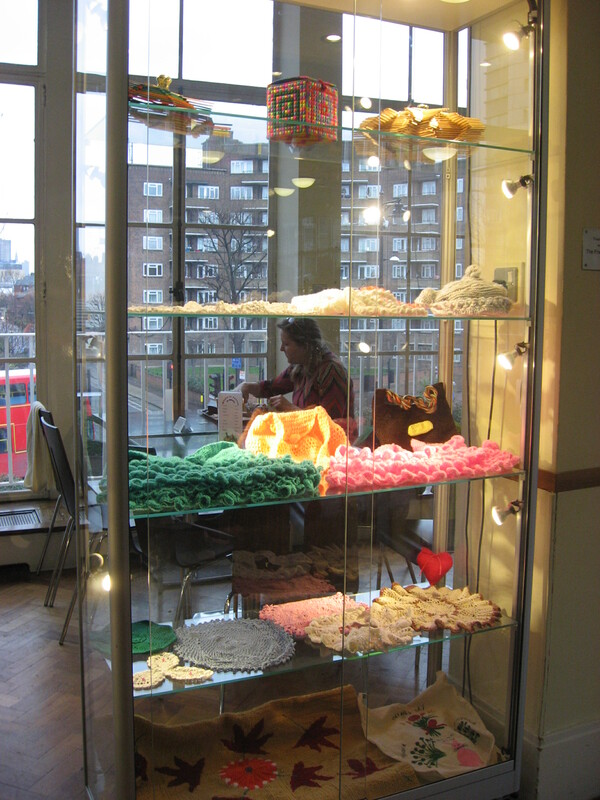 If you are near the area go to the college and see some of our work.